The Backlash Adjustment Moment Analysis on Double Cycloid no Backlash Steel Backlash Steel Ball Trausmlssion An zijun, et al. The Calculation of EHL of Diagonal Modified Narrow Helical Gears and Film Thickness Measurement Li Xianwen. et al. A Rapid Response Neural Network for Gear Box Diagnosis Meng Jian, et al. The Assembly Condlitlons Analysis of Planetary Geers with Internal Planet Gear Wu Chunying, et al. Measuring Dimensions Calculation for the Dual-Involute Geering Fan Ji, et al. 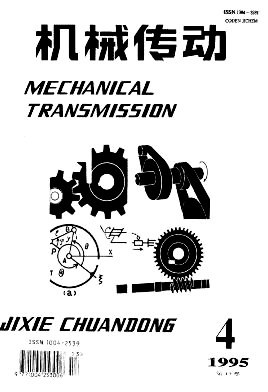 Design and Manufacturing of Harmonic Drive Flexible Gear on the Principle or Converted Engagement Reappearance Tong Shimao.